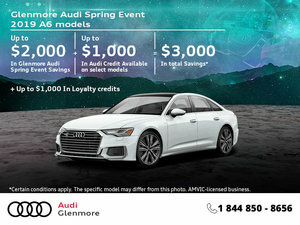 Audi is pushing its brand and nameplate into unchartered territory this year with a wide range of new models set to hit the market in segments Audi hadn’t set wheels in before. Take the 2019 Audi Q8 for example. The Q8 is a four-door SUV coupe and essentially a more visually dynamic version of the top-of-the-line Audi Q7. The Q8 becomes Audi’s premium range-topper when it comes to SUVs, and you won’t find a more luxurious or refined sport utility vehicle in Audi’s lineup. 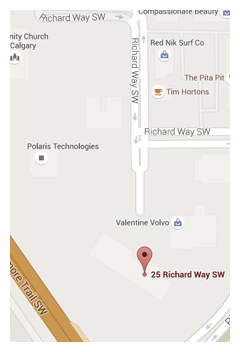 On the other hand, it aims at buyers who aren’t looking for a traditional mid-size luxury SUV. Those buyers usually opt for a Q7. Q8 buyers are different. They have an active lifestyle and looks matter. They want to stand out on the road and turn heads, but they also need space for all their gear and of course their growing family. These buyers will turn to the 2019 Audi Q8. Here are three things to know about the 2019 Audi Q8. The 2019 Audi Q8 is perched at the top of the Audi SUV hierarchy as stated previously. Featuring the latest Audi interior complete with multiple digital screens and the latest safety and connectivity tech, the new Audi Q8 is as luxurious inside as it is stylish outside. This is a very unique sport utility vehicle, and a beautiful one at that. If you want to surround yourself in premium luxury day in and day out, this is the Audi to buy. Features like a heated steering wheel, heated and ventilated front seats, 4-zone climate controls, heated rear seats and a 360-degree camera are standard. You also get the added peace of mind of having Audi Care included which means your factory-scheduled maintenance is covered for the first 5 years or 75,000 km. The Q8 gets its power from a twin-turbo 3.0-liter six-cylinder engine that delivers 335 horsepower. A 48V mild hybrid system helps with a variety of functions and you also get an adaptive suspension that adjusts to how you’re driving your Q8. On the road, it can be as comfortable or as sporty as you want it to be. The 2019 Audi Q8 features Audi’s drive mode select system which allows you to adjust how the car behaves and make it faster or more comfortable. The Audi Q8 may be a coupe SUV, it’s still quite spacious in the back and it has almost as much cargo space as the redesigned Q7. 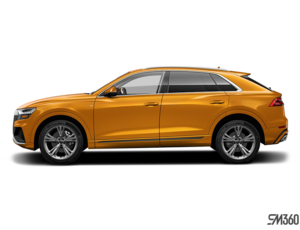 The 2019 Audi Q8 is stylish and fast, but you don’t have to worry about cargo space and versatility. It will meet the needs of your active family. 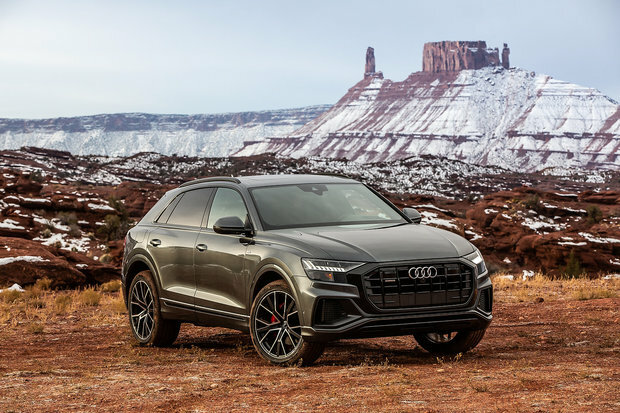 To learn more about the 2019 Audi Q8, contact us today at Glenmore Audi.